From red to green… from Valentine’s Day to St. Patrick’s Day. What are the common things between the two? Both are celebrations or feast of the particular saints. Setting aside the religious background of the two saints, another common between the two is the heart shape. But for St. Patrick, it’s either three or four heart shapes joined into one which form a clover or shamrock leaf. They said if you’ll see four heart shapes on a shamrock leaf it means it will bring you good luck. Shamrock. … A shamrock is a young sprig of clover, used as a symbol of Ireland. Saint Patrick, Ireland’s patron saint, is said to have used it as a metaphor for the Christian Holy Trinity. Do you believe on it? They said there’s nothing wrong on believing on it. But what is important is that you’ll do your part too, work hard on something that you want to achieve instead of doing nothing and wait for the luck to come. Which I couldn’t agree more. Royal Langnickel Essential Paint deep green. Paint Brush: No. 8 round from Santa Fe Art Supply. Link on where to buy these art materials will be posted at the end of the post. 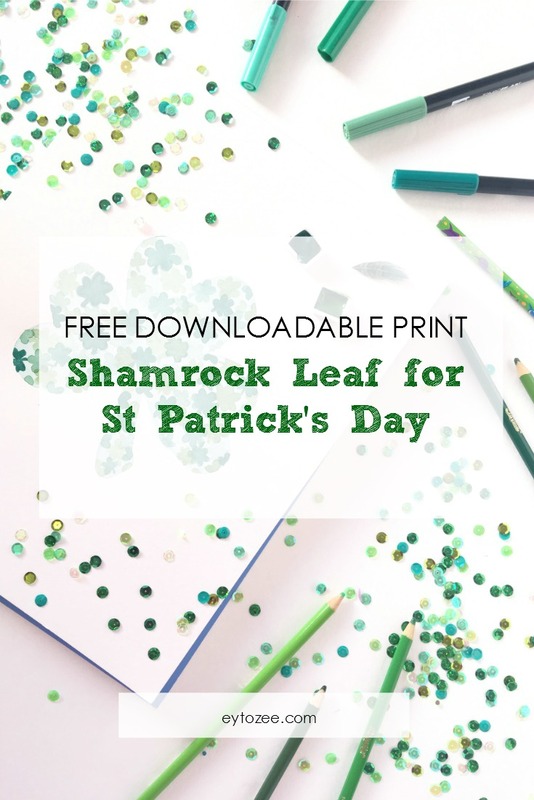 A digital version of this shamrock leaf is ready to download at my Freebie Library. To get access on it you simply need to subscribe. Please click the button below. I made two downloadable file. 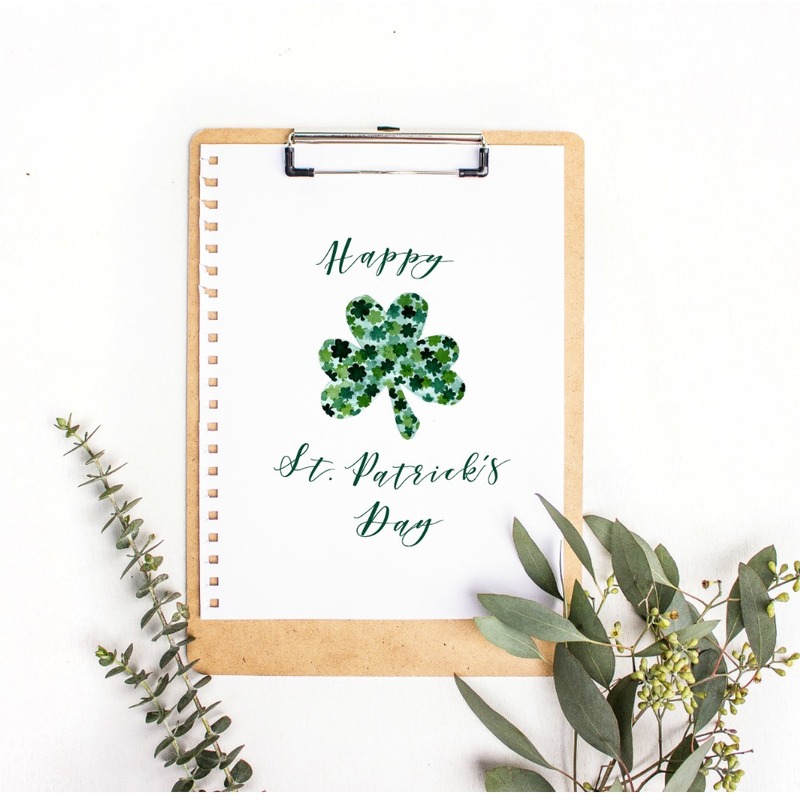 One is a letter size St. Patrick greeting which you can frame it for display. 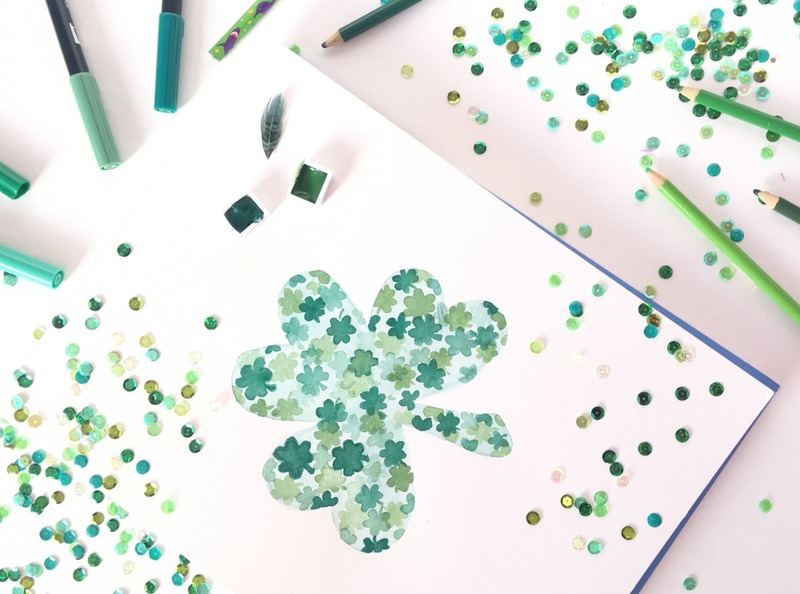 And if you want to design your own greeting card you can also download a clipart in PNG format of the shamrock leaf. Remember to get this you need to be my subscriber. Don’t worry I won’t spam you. I will only send you email prompt of goodies that I made. Listed below are link where you can find the materials to paint the shamrock leaf. Remember those are affiliate links. 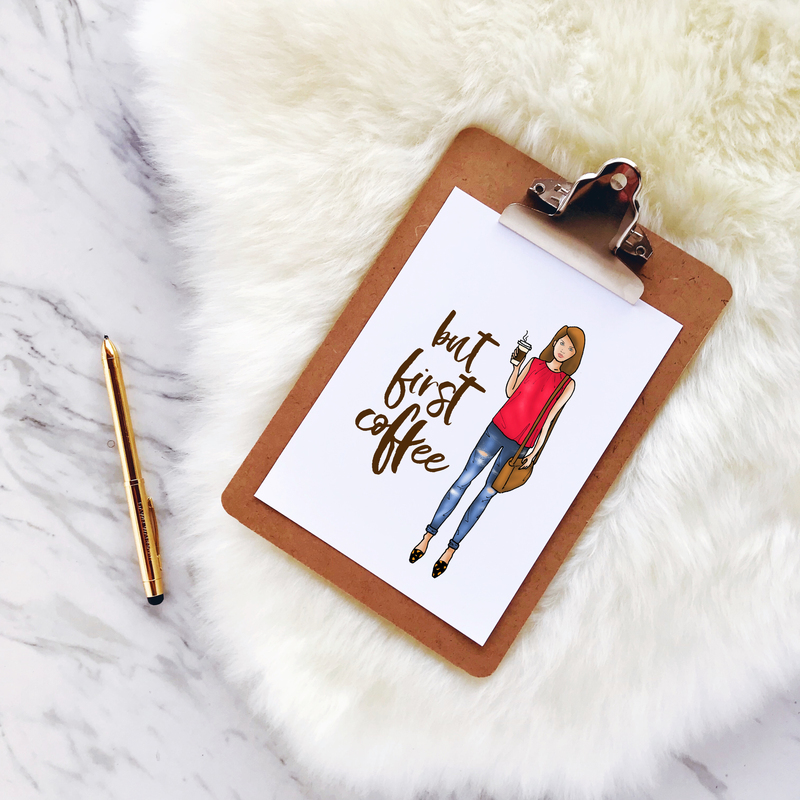 Buying through those links will surely help me maintain my blog. I need it so that I can continue give freebies too. 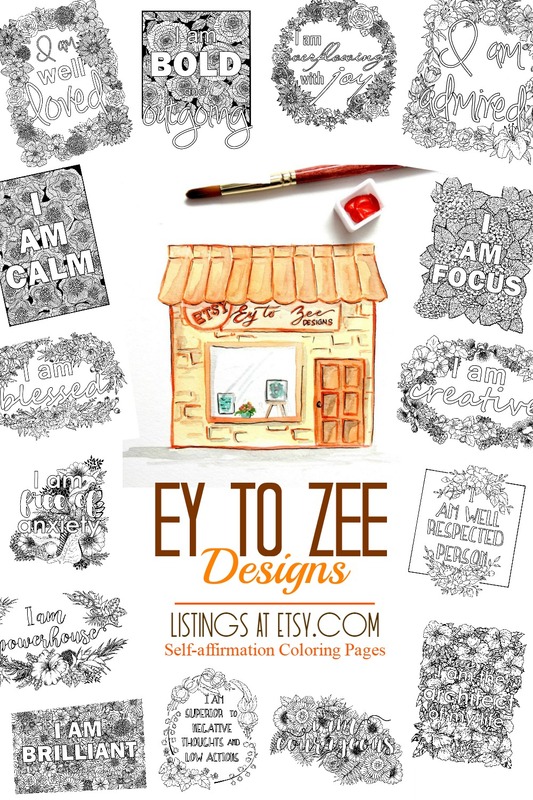 By the way, don’t forget to tag me on Instagram, @eytozee_ and/or @marieyandesigns.